If entertaining is what you love to do, this is the place for you! As you pull into the residence you will see a beautiful home at the end of the cul-de-sac. Decorative wrought-iron gate leading to the front door, large water fountain and RV Garage that could be multiple uses. As you enter the home you will see the beautiful stairway that so impressive along with the vaulted open ceilings and Skylight, Updated Kitchen with Granite and high-end appliances. 2 fireplaces one in each living area. The brand-new laundry room is huge with shower, sink, folding area and tons of storage. 4 bedrooms upstairs, the master has a large bonus room that leads out to the back balcony overlooking pool. Perfect for private Gym, Home office or Nursery, but it doesn't stop there! The master bathroom is BRAND-NEW and will knock your socks off to say the least. Backyard has a large Pool, Spa, Pizza Oven and so much more. 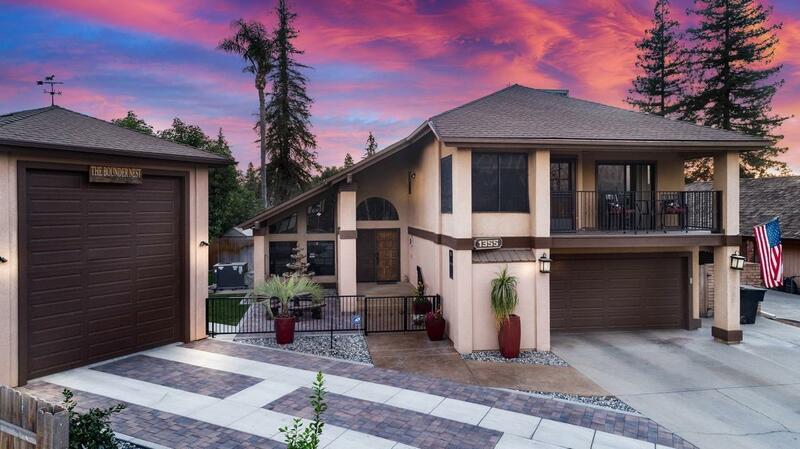 This home is so unique and custom you must see to appreciate all it has to offer. Listing provided courtesy of Cynthia D Green of Melson Realty, Inc..